Stay tuned for upcoming events for Karachi Eat Food Festival in near future. Karachi Eat Food Festival is a family food festival built around the idea of creating a common platform for people who love food. Karachi Eat 2018 will be held from 12th to 14th January 2018 at Karachi's Benazir Bhutto Park, opposite to Boat Basin. Karachi Eat Food Festival 2018 will transform Frere Hall into a foodie wonderland for 3 days of eating, drinking and entertainment. From the most creative and talented chefs to the street vendors, the Karachi Eat is a festival which celebrates the full diversity of food that this city has to offer. 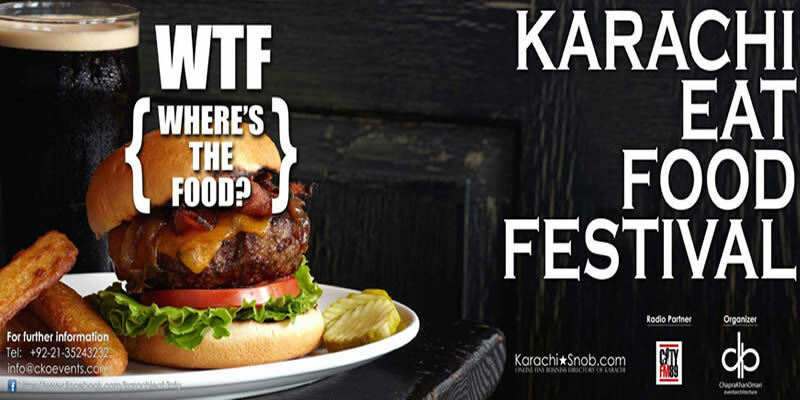 For the Karachiites, food is clearly much more then just fuel for the body and through this festival we embrace the pleasures and value of great flavor, giving you the opportunity to taste extraordinary food while being immersed in a complete experience that brings you face to face with the food you eat and people who make it. Best Viewed at 1024 x 768 pixels and above. This Page loaded in 0.09191 seconds on Tue, Apr 23, 2019 (21:45).